The Far Western districts of Nepal have a reputation for being neglected and more under-developed than the rest of the country. But in the past 15 years, they have taken great strides in transportation, infrastructure and child and maternal survival. There are now roads in almost all the VDCs of Dadeldhura and Doti and the two districts are linked to once-remote Achham, Bajura, Bajhang, and even Darchula. There is now 3G mobile connection in the district capitals and signals all along the smoothly paved highways. Dadeldhura’s maternal mortality rate was worse than sub-Saharan Africa 20 years ago, with more than 1,500 out of 100,000 dying at childbirth. Today, that figure is 450. Under-five child mortality has come down by more than half. This is the photo report by Kunda Dixit in Doti. 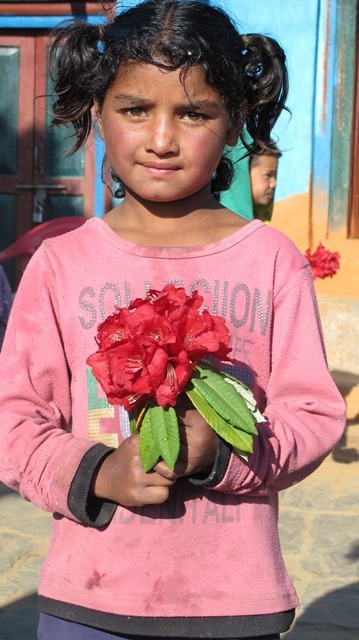 A girl child holds a rhododendron to welcome visitors to the village of Domada in Dadeldhura. Female literacy is up to 50 per cent in a district where till recently only 10 per cent of girls went to school. 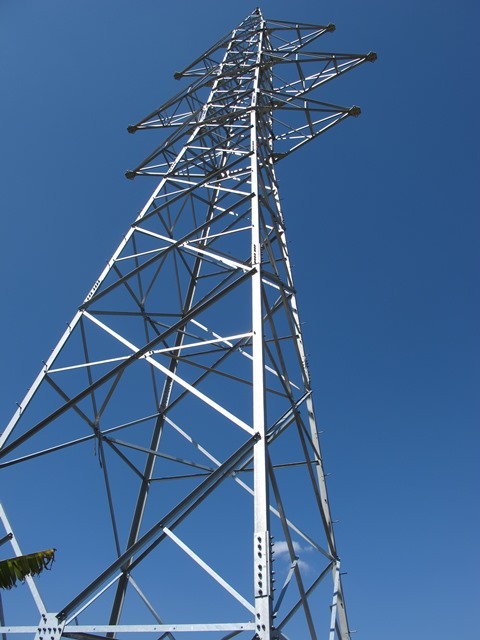 Pylons are being put up to bring 30MW of electricity from the Chameliya plant in Darchula which will be finished next year. The project has been delayed due to local extortion and threats. 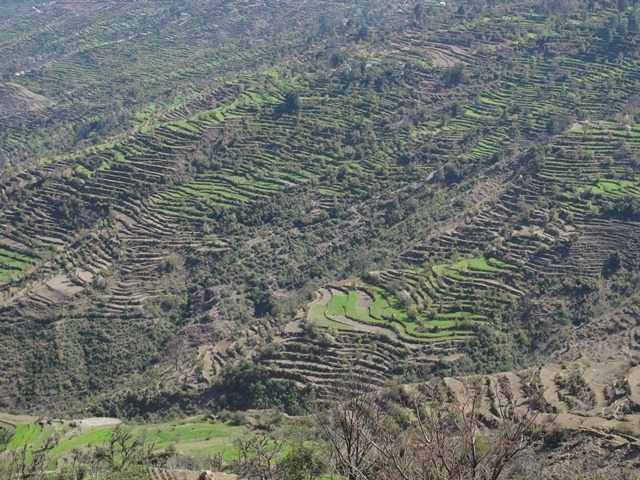 Healthy winter monsoons have watered rain-fed terraces of wheat on the border between Doti and Dadeldhura, promising a good harvest this year. 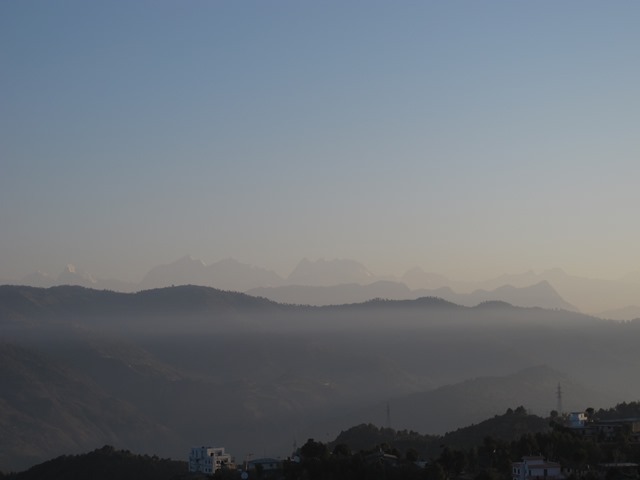 Sunrise in Dadeldhura reveals layers of hills shaded by morning mist and hazy outline of the Api-Saipal range in Humla to the north. 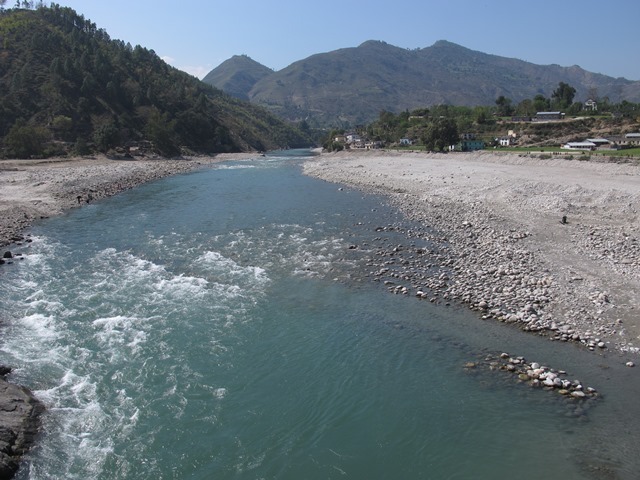 The West Seti river as it meanders past Dipayal. A planned 200m high dam impounding a 20 sq km reservoir to generate 750MW of power for export to India has been delayed by 15 years, and its construction would give a big boost to the economy of the region. 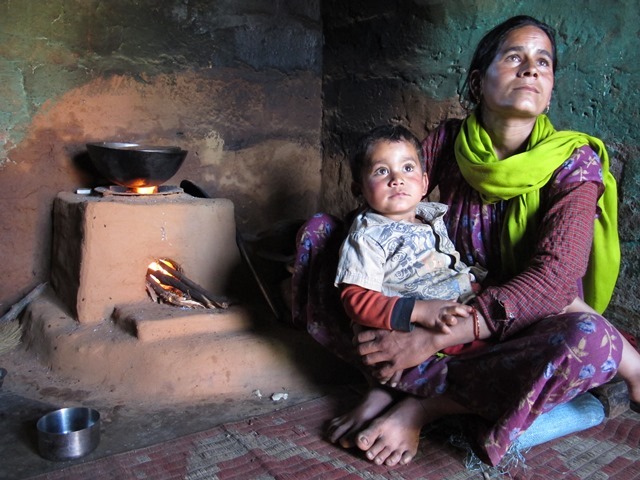 Gauri Devi Bhatt and her son in their kitchen with her Rs 200 smoke-free improved stove that has reduced her daily workload to gather firewood and educed lung and eye infections. The electricity produced by West Seti is to be sent to India? What about using all 750 MW in Nepal, when there is so much of power shortage? This is a classic case of people in power, such as corporate and government getting all the revenue, while displacing the dam affected people from their homes to make way for reservoir. This is utter nonsense. Just like Professor Noam Chomsky of MIT (Massachusetts Institute of Technology) said, this is a destruction of public property (Seti river) so that the rich can get more richer, while the poor in this case have to vacate their homes.